The Scott Guberman Band performs on Friday, July 6, at the Reel Fish Shop & Grill, 401 Grove St., Sonoma. 8:30pm. 707.343.0044. DEAD DREAMS Scott Guberman’s love for the Grateful Dead sent him west to the North Bay. Keyboardist Scott Guberman's story has all the elements of a Hollywood film, with big risks, dramatic pay-offs and an all-star supporting cast of musicians. When Guberman first discovered the Grateful Dead as a teenager, he says his whole view of music completely changed. "I think it came along at the right time for me," Guberman says. "I was looking for something that was psychedelic, that was rock and roll and yet was modern." 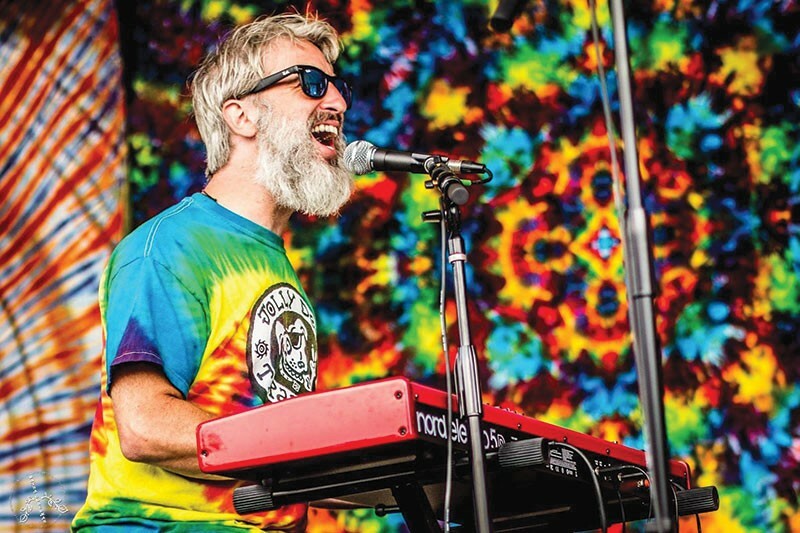 Three years ago, Guberman went from Grateful Dead fan to Terrapin Crossroads regular, and he now performs several times a month with the Terrapin Family Band and Grateful Dead founding bassist Phil Lesh at the venue, which Lesh owns and operates. Guberman also performs regularly throughout the Bay Area in his own band and as a solo performer. He appears July 6 in Sonoma at the Reel Fish Shop & Grill with guitarist Grahame Lesh, drummer Pete Lavezzoli (Jerry Garcia Band) and bassist Robin Sylvester (RatDog). After studying classical piano at the Hartt School in Connecticut, Guberman found success in Grateful Dead tribute bands on the East Coast for several years. He even toured briefly with two former Grateful Dead keyboardists, Tom Constanten and Vince Welnick. After learning about Lesh's involvement with Terrapin Crossroads and hearing stories about people meeting him or Grateful Dead guitarist and Sweetwater Music Hall co-owner Bob Weir in and around Marin, Guberman took a trip to see for himself. On that trip, Guberman saw Phil Lesh and friends recreate a Grateful Dead setlist from 1965. Afterwards, he met Lesh and gave him a business card. "I simply said, 'It's my lifelong wish to play with you,'" remembers Guberman. "And he said, 'Well, stranger things have happened.'" That initial vacation turned into an extended stay, and Guberman found himself on the stage at Terrapin, playing with musicians he met along the way. Soon after, he and his wife made the move and relocated to the North Bay permanently. "Everything's been a dream come true," he says. In addition to jamming with Lesh at Terrapin, Guberman has played alongside Weir at Sweetwater and with just about everybody else in the extended Grateful Dead family throughout the North Bay. "Playing with them, at some point it feels like the guys I've been playing with forever, because that's what I did forever, listen to their recordings and play along," says Guberman. "It's always a surreal moment."